It is confirmed today by the National Socialist Empire of Artite that an alliance has been signed between the two empires of the Global Federation. Now that the N.S.E.A has recognition as a sovereign state the Holy Empire of Artite has officially declared war on the N.S.E.A. However there are reports that Imperial Divisions are deserting to the fascist military. Lazarus has fallen to the N.S.E.A and the Eastern Province and Western Province have seceded from the Holy Empire of Artite. This leaves the predominantly pro-empire south and the Artitian Protectorate of Lockdownn as the only places left that have not fallen to the fascists. This new alliance has put the Holy Empire of Artite into a tight jam as the only forces that are defending the border of the Southern Province are the Imperial Guard Divisions and lightly armed Imperial Militias. No word from Emperor George Constantine about the secession of the two provinces to the N.S.E.A or the issue of many Imperial Divisions deserting. "The N.S.E.A., or, the National Socialist Empire of Artite is an illegal state, driven by fascist rebels. They are committing an act of treason against the Imperial Family aswell. Hereby, the Council of the United Kingdoms, in the name of the United Kingdoms of Apepistan, asks every nation in the Global Federation not to support this group of rebels, as they are not only a danger to the citizens of Artite, but against other nations aswell. History has shown that we can not afford to make deals with fanatics. These rebels claim to be above every other nation or people, if you think that you can ally with them - you are fooled. Their false sense of superiority will make them use you as a tool, then turn on you. Make no mistake, they are not to be trusted." The United Kingdoms of Apepistan have also sent an emergency telegram to the Imperial Family, to discuss the possible cooperation aganist the N.S.E.A. Though there is no answer yet, the United Kingdoms have begun mobilizing troops, mostly armored divisions and paratrooper units, in order to act as swiftly as possible if needed. Lord Muhtar Tenger reading up the announcement of the C.U.K. The Great Orthodox Empire of Chackle has agreed to let Arbonation construct a military base in Chacklean soil. 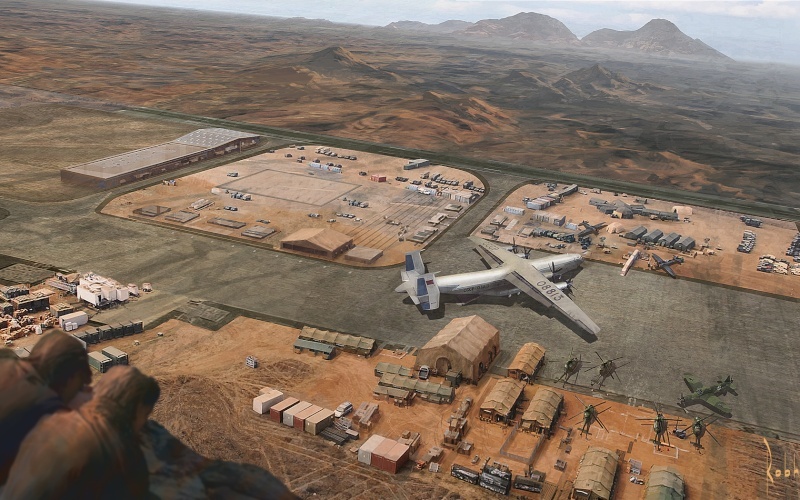 The military base will make it easier to deploy troops on the continent of Atlas, to protect Chackle of course. Arbonation will move some of its Tanks and Vehicles to this military base along with some ballistic missiles. Hockey a new sport in Chackle? After Chackleans in the north of the country have started to bring hockey more to the south and more teams are being formed. It has been announced that Chackle is establishing new sport teams. The new Chacklean Hockey team is called "Team Chackle" and has the best goalie in the world so far. The king has announced that their will be a pro soccer team aswell. Chackle training massively? But for what? King Isflae Tryion wrote: We are a growing power and could soon be the most powerful nation on Atlas. We want to prove our strength to the world, such as in size and in training. Our troops are being tested to the limits and are working as hard as they can. Some of them are even being trained to take out a tank with only a knife. We are spending a lot of time on our military because that is the only thing protecting our empire. If we stop investing in our military then Chackle would be a spec and would be terrified by nations that we are stronger then. That is why we are trying to focus on our troops and our military. As of now Chackle is the 2nd strongest nation on Atlas and we want to make that turn into 1st. Other nation wont just be scared of us they will want to join us. After a short discussion with the leadership of Artite, the United Kingdoms of Apepistan have sent the 4 carrier strike groups previously engaged against Xaje. The CSG-s have begun to commence aerial and naval strikes against the rebels instantly. Losses from either side are currently unknown. A "Bloody Regiment" has been deployed in Artite aswell. A "Bloody Regiment" is what other nations call penal legions - it's entirely made up of soldiers who have broken their sworn oath, and in apepistani tradition, the only way to regain honor is to die an honorable death, otherwise the person and all of his family and descendants will be cursed for ever. The Bloody Regiment consists of 10.000 soldiers plus officers, and have several tanks, artillery units and armored vehicles as support. They are not expected to return. On other news, the United Kingdoms of Apepistan have handed the northern islands of Ulan and Bataar over to the Holy Empire of Artite. As the islands are low populated, and do not form a kingdom of their own, this will bring little to no change in the life of the United Kingdoms. A constuction crew have begun to fortify the island with new bunkers, and are also upgrading the current fortifications aswell. There are 2 naval bases on Ulan, and 1 on Bataar, and also several marine barracks and defensive units on each island. The Fort-Islands, as the marines call them, will be also cleared of Apepistani soldiers, as the Imperial Army will be stationed there, only a handful of apepistani officers will remain, who will act as a connection between Apepistan and Artite. Princess Leyla, aged 27, of Apocryphi has been set a suitor by King Tytos. This comes shortly after a number of International Weddings, Leyla being the last unwed child of the King and Queen. Her suitor is one Prince Thindis Tryion, 28, of the Royal Family of Chackle. It's believed to be an action by both Kings to further cement their growing relations, with such an long standing bond being set. It is said the ceremony will be a private one open to only close family members of both royal houses, the location is unknown. The Lockdownnian Military has chosen to side with Fascist rule and has begun a massive build up in forces for incoming hostilities caused by an imminent reveal. The government has not stated what its plans will be but for now they are prepared for the worst. Along with these recent findings, Lockdownn has annexed itself into Artitian borders promoting the support for the Fascist rebellion. Emperor Remiente has stated his terms on the matter one of them being that Lockdownn itself will remain an autonomous state within Artitian borders and cooperate in military build up and training. Military and government officials alike have endorsed their support for a Lockdownnian state map that will include all of the states within Lockdownn. They have also stated that this will help them get a better public approval by showing the countries entirety. A new selection of high tech weapons is being made available to the Lockdownnian military few are allowed for public dis-closer. Weapons such as the EMP 241 B ICBM, has already been made readily available for use in defensive and offensive operations. Supremely light weight and highly versatile nano-armor is being created for Lockdownnian soldiers in battle. New military vehicles and air-craft have been created and the following will be shown through pictures as provided. 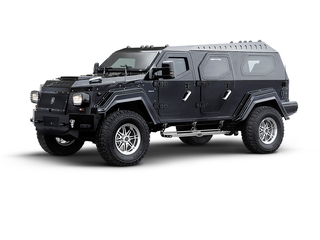 This new armored vehicle is shown through the only picture provided to us. Chackle responds to Lockdownnian advances. The Chacklean king ordered more funding into research due to other nations such as Lockdownn increasing it. The Chacklean king has also said that he will invest more into nuclear technolygy to make the nation much more strong. Chackle will soon become a great power if they continue the great work. But will it work? With the recent advancements in technology provided by the multiple corporations within Lockdownn, the projections for advancements were beyond what experts had anticipated meaning that military action anywhere in the world has been made possible. The advancements in technology have paved the way for multiple nuclear achievements that could severely threaten multiple nations within the continents surrounding Sonea. Just today several nations lay claim to a small island off the MED coast line owned and inhabited by New Rhodinian civilians. Heightened tensions within the region have stirred up several multiple national diplomatic ties and with the growing tensions, conflict may be imminent. Following recent tensions along the New Rhodinian coastline, the Lockdownnian Imperial Navy has been activated and has gathered up around 10,000 troops to intervene in this growing conflict. Lockdownnian spy planes have been sent to gather information on the island and militarily strongholds that could insure Lockdownnian victory on the island. General Remiante wrote: We are facing turbulent times, and were weakened to some degree following the military invasion we faced, but now we are back and better then ever! Let us show these weakling nations what we are made of! We're a civilization based on fear and leadership, we're made not of steel weakened over time, but carbon, the giver and taker of life, the element of which we originated from. Let it be known Isflae, and Livia, that when you see my face, your life is done. A squadron of warships consisting of two battleships and five heavy cruisers of the Imperial Navy have engaged a scouting force of twenty five small destroyers belonging to the Kriegsmarine of the National Socialist Empire of Artite. The engagement started at two fifteen in the morning and continued on into late morning. The battle ship AINS Lucifer opened fire with her four twenty inch batteries while the AINS Horatio opened fire with her three sixteen inch batteries. 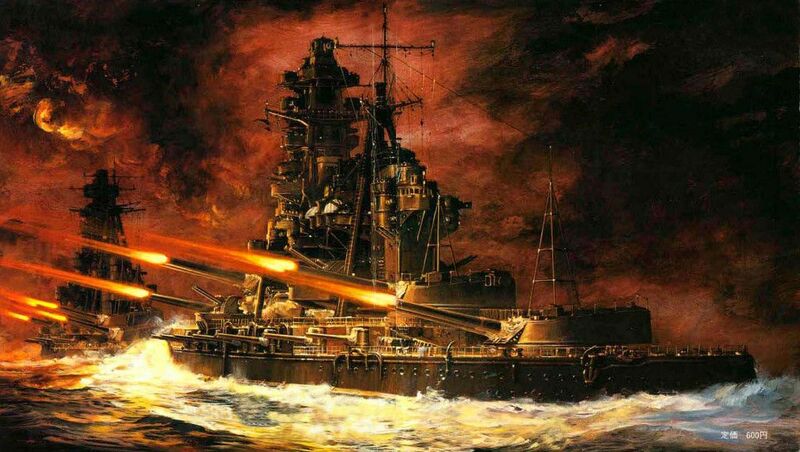 In a stunning battle the two warships;the pride of the Imperial Navy, fought bravely alongside the Heavy Cruisers. The fascist warships were hard pressed for a victory and many of them sank. It is said that the two small fleets came so close together that the barrels of the twenty inch guns of the AINS Lucifer could not fire at an enemy warship with out damaging itself. Roughly five enemy warships were sunk and a further six severely damaged, with over six hundred enemy sailors dead and a further two hundred captured. The Imperial Navy sustained minor damage and only five dead and twenty one injured. 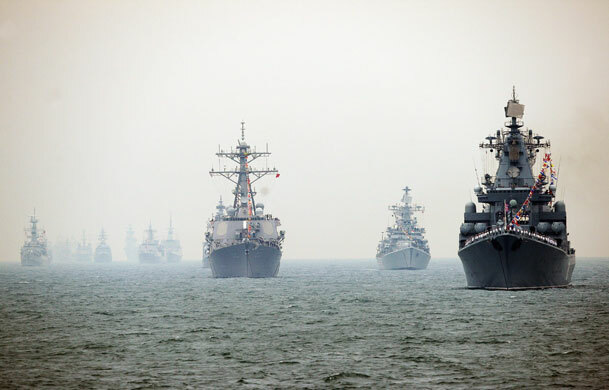 This small naval battle is just one battle of an even larger war plaguing the Global Federation. On a further note of great fortune, Emperor George Avarius has safely arrived at the Islands of Life and has taken full command of the Imperial Military. Plans for now are to assist in protecting our new found land granted to us by an ever growing friend. In a statement the Emperor addressed the fear that he feels many nations of Atlas are thinking. "I am grateful to the United Kingdoms of Apepistan for giving my people a second chance. Never in our history as a glorious Empire have we been forced out of our own land and made to flee like whipped dogs. I have a feeling however with the presence of Imperial Artitian Military units garrisoned at the Islands of Life this will attract the N.S.E.A to come after us, which they have. But I assure every member on Atlas that Imperial Artite will not lean on the crutches of despair and hide behind you. The Imperial Navy and Air Force are among the best in the Global Federation having proven their combat skills in countless wars of our past, though that image is tarnished a bit by the solace National Socialist Empire of Artite. Though I say this now, as long as the Imperial Navy is sailing with honor, courage, and deadliness the eastern shores of Atlas and the citizens living on those shores can sleep soundly at night knowing that Imperial Sailors and Airmen are laying down their lives to defend some one they will never meet. As long as the pride of the Imperial Navy, the AINS Lucifer sails and sinks her teeth into her victims, Imperial Artite will stand as the mountain for Eastern Atlas. Long live Imperial Artite, Long Live Apepistan, Long Live the Emperor." Volunteers from the refugees in Ebsotz are signing up by the thousands and being sent to the Islands of Life to begin training. This new army will spear head an invasion force back into the Holy Empire of Artite and drive out the fascists who are now in control of the entire country. The Emperor has also called for foreign fighters willing to sign up with the Imperial Army, these new international units will be placed under Imperial command and once the war is finished these men and women may return home with a hefty paycheck or remain in the Imperial Armed Forces and begin to forge a new legacy of soldiers of the Empire. New Jarven, Xaje. After 2 months of brutal fighting, the Ebsotzian/Apepistani armies fight off the remaining, weak remnants of the Xajean forces. New Jarven, the capital off Xaje, was stormed by the Ebsotzian forces. The Royal Palace was set ablaze, nearly half being destroyed by an accidental gas pipe leak explosion. However, the Ebsotzians had something different in mind: For supporting their culture, they requested the Emperor to ride the nation's horse into battle. Emperor Leopold reluctantly agreed to fight alongside his men. Emperor Leopold I wrote: Many of my men reported to me that nearly all of Xaje was been "eliminated", and that I should ride my horse into New Jarven, symbolizing the Ebsotzian/Apepistani victory. I was hesitant at first, until my reporter gave news that the remnants of the Xajean forces overpowered our army. I was shocked, and I decided it would be best I duel alongside my soldiers. May God and the world rejoice for the Ebsotzian victory! Emperor Leopold arrived at Xaje earlier this morning, some supposing at around 6:15 AM. It was gruesome: nearly 6,000 men, mostly Ebsotzian, died at the invasion of Xaje. However, the clear victors were the Ebsotzian/Apepistani forces. Parties and celebrations were thrown in Ebsotz. Emperor Leopold even invited King Ahet-Apep to 6/7 (the holiday/date Xaje was defeated, once and for all). The response from the King is still pending. New Krizanic, Ebsotz. Millions are protesting, especially in Krizanic, about a rumor that has expanded it bit too far: The Ebsotzian Reformation. Many Imperial officials are actually denying the Reformation, calling it "unpatriotic" and "full-on-laughingstock". Ebsotzians around the world are even giving the thumbs down on this topic. However, due to Ebsotz's homeland population, Ebsotz might be left in the dust and reform into St. Nikolo. MID EAST FEDERATION REMOVING ITSELF FROM RADICAL POLITICS? "Fellow citizens, esteemed members of the Grand Senate as we move to a more progressive nation we must abandon ideologies that contribute to bring us down. That is why we are going to place a restriction on Facism, Communism, and Nazism. All ideologies considered radical or pose significant risk to our great country will be banned from particpating in the Grand Senate and any public rally's or joint expression in favor of these ideologies must be approved by local and state government. We want to build a better, progressive, and futuristic nation. That is why we do this. We hope you all stand behind us in building a better political society for MEF." "Let this be an example for the whole world, that there is strength in friendship between nations. An example that those who fight to uphold their honor, according to their sworn oaths, will always triumph over evil." 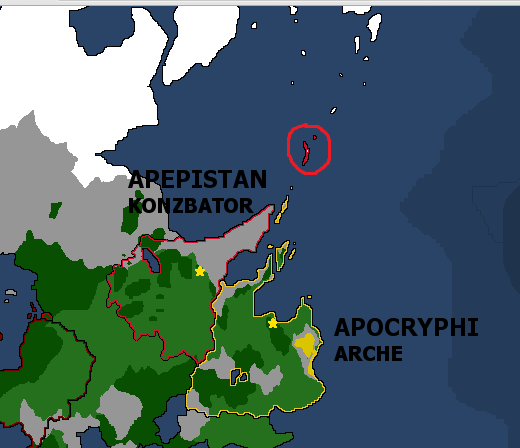 The United Kingdoms of Apepistan are continously patrolling the North-Atlas Sea in case the fascist rebels try another attack against the Holy Empire of Artite. During a recent press conference, spokesperson for the military, Viktor Khazri, said that "nuclear strikes are not dismissed as an emergency option", when asked about the counter-defensie measurements taken against the fascist rebels. The United Navy of Apepistan have sent an unkown number of "Leviathan" class nuclear-powered ballistic missile submarines to patrol the oceans. It is unknown if these submarines carry nuclear warheads or not. The range of these submarines are only limited by the supply of food and fresh water to the crew. Arbonation looks to the sky, and beyond! Emperor Daniel Arbona has decided to fund the ASEA (Arbonian Space Exploration Agency) and will be giving it a budget of 20 billion USD. The ASEA has begun its Artemis Program to send a man to the moon and back. ASEA's scientists and engineers have begun development of the rocket that will be used to send a man into space and eventually to the moon. 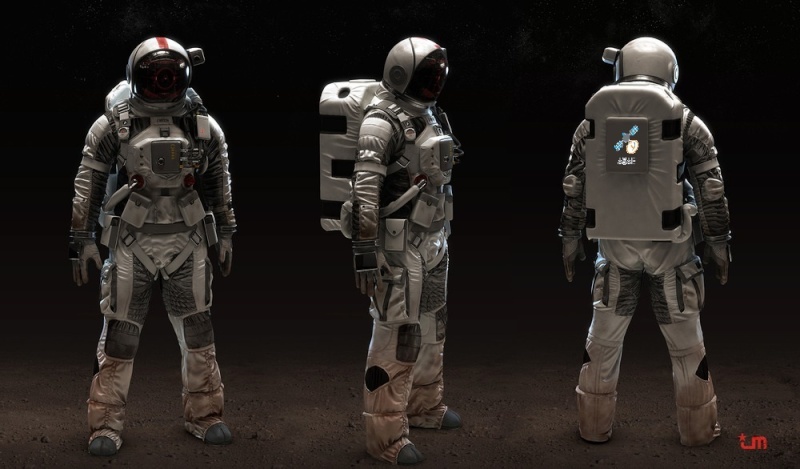 Scientists have already designed a state of the art space suit that should facilitate astronaut movement in space and in other planets, while also keeping you alive. The helmet will have a built in HUD that will display the astronaut's heart rate, their oxygen levels, and when off exploring other planets it'll display where their ship is located (be it 10m or 300m). EBSOTZ REFORMS: WELCOME ST. NIKOLO TO THE WORLD! Krizanic, St. Nikolo. It has passed! The royal decree declaring former Ebsotz as St. Nikolo has passed! Many social changes have occurred when this happened: The popularity rate for the Emperor has skyrocketed, and the population has been overall happier; little did the Ebsotzian population know what was going to occur. Many Ebsotzians left to different nations, however, nearly 3/4 of the escaping population deemed "just dead". These people are known to the Nikoloans as "Die Außenseiter", which means in German, "The Outsiders". Emperor Leopold changed his official name to Emperor Leon I, seemingly forgetting the Zadravic name. Many citizens have already left Ebsotz in the shadows, and declare St. Nikolo "the savior name for our glorious nation" which basically means "this was the perfect choice". St. Nikolo, however, will never change its philosophy of foreign affairs, and will maintain the ties and bonds with allies. HAIL ST. NICHOLAS, OUR ALMIGHTY PATRON SAINT! 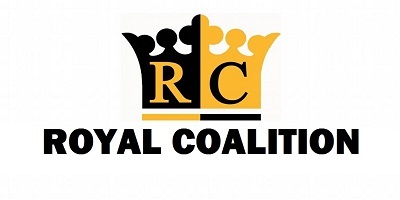 Since the founding of the Royal Coalition, the alliance is steadily growing more and more powerful. Now, with the Queendom of Ninth Have and the Holy Empire of the Mid East Federation joining, the alliance has 8 members - with military, cultural and economical superpowers in it's ranks. The only continent the Royal Coalition doesn't have a presence is in Orientia. Currently the Royal Coalition Congress is hosted by the United Kingdoms of Apepistan, in the Blue Palace, but this might change in the future if another nation volunteers to be host. The first foreign relations decision of the alliance was to put an embargo on the National Socialist Empire of Artite. The embargo only means ban on commerce and trade, and is not enforced with military means. The Royal Coalition is still open towards new members: monarchies with good relations with the Royal Coalition members are all able to join, if they gain support of at least 50% of the member states. -what the hell was that?!?! Hello? Anyway, [well, that was weird], the economy will be rebuild once the government has been "reformed". End broadcast. La Havre Barracks, Saint Nikolo. Nikoloan military officials are on a massive recruitment drive throughout all of the Nuclear Nation (a nickname for St. Nikolo), for the Grand Dukes Royal Foot Infantry (GDRFI, or in American words, an army). However, generals deemed that they won't go "overboard". The main objective of this drive is just to increase this personnel. Nikoloans try to aim for "better equipped and trained" soldiers rather than manpower. 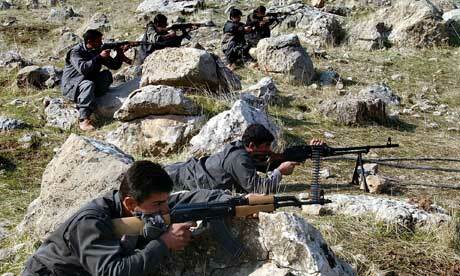 A total of 20% of Nikoloan budgets have been diverted over to the army. Stay tuned. SAINT NIKOLO DEEMED "THE NUCLEAR NATION"
The Nikoloan Alps, Saint Nikolo. Last night, officials say that Saint Nikolo contains the most power stations in the entire Global Federation. 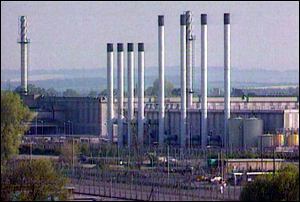 Nikoloan power stations are monitored day and night, 24/7, about 41 miles from Valkenburg. This area, called "The Orsa Major", monitors every plants condition, energy levels, and overall physical appearance, and much more. Nuclear energy now accounts for nearly 81% of St. Nikolo's energy, and is protected by Nikoloan and [soon, hopefully] international law. The other 19% is a mix of solar and wind energies. Coal and oil are outlawed in the use of vehicles in Saint Nikolo, deeming St. Nikolo also the cleanest nations in the Global Federation, after New Rhodinia. After months of designing the Galileo Space Telescope for space exploration the ASEA (Arbonian Space Exploration Agency) has decided to launch it into space so it can orbit around the Earth capturing images of distant celestial bodies up to 20 billion light-years away. Scientists hope that this telescope will help us understand more about how our universe was formed. ASEA sent up the telescope on the WINDU orbital rocket at 6 AM this morning. The launch was successful and the telescope is currently orbiting above us right now. Earlier today a naval battle raged between Imperial Warships and Fascist naval vessels. In a strait directly north of the N.S.E.A. This was the first time Imperial Warships entered back into the area and openly attacked fascist warships. The attack was lead by the AINS Widow's Haven an Invincible Class Heavy Cruiser. The cruiser led six other warships into the straights and attacked a small patrolling fleet that consisted of three destroyers. The battle only lasted for an hour but it was a skirmish that echoed through out the N.S.E.A. After loosing the First Battle of the Islands of Life the National Socialist Empire is looking for a way to get back, but with this most recent attack and loosing to the Imperial Navy the people have become restless. Viktor Grubask has ordered the bombing of Imperial Artitian trade routes and of Imperial ports. The war will hopefully be contained to just Imperial and Fascist Artite but with Imperial Artite's allies pulling strings it is becoming increasingly difficult for the N.S.E.A. Viktor Grubask had no comment to make concerning the second naval defeat of the war. The Holy Empire of Artite's Imperial Navy has dominated the oceans since its creation in 1603 and has only suffered defeat five times in its five hundred year old history. The Battle of the Northern Strait has caused considerable damage to the newly founded "empire"'s moral and clout as a power on an international stage. On top of the pressure being put on by the Imperial Navy there is even more pressure coming from embargoes proposed by the Royal Coalition who mainly dominate the continent of Atlas which is where Imperial Artite is positioned. The N.S.E.A has begun to mobilize its troops and have begun building defenses around the country and the coasts in case of attack. 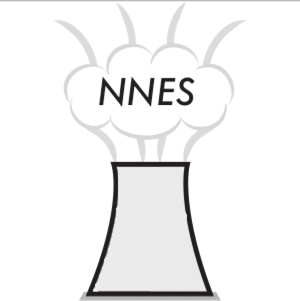 Right now the N.S.E.A is a powder keg with over fifty million troops at its disposal in a blink of an eye, as of now they do not possess nuclear capable weapons but there are rumors circulating the Imperial Intelligence Service that they are beginning to rebuild one of the Empire's abandoned uranium refineries. Will the N.S.E.A attack first or will Imperial Artite be able to tame the beast and return home? Zone 67, outside of the Northern Strait, Artite. Many Nikoloans rejoice at the Imperial offensive, and even more excited as Duke Leon announced the first offensive against Fascism in nearly a 70 years. Fascism was declared "The Scar of the World" by many Nikoloans. Contacting the Emperor has been quite easy: And plans have been arranged to do a counter attack/joint-operation to take Rofinta. Naval power has been the clear advantage in Nikoloan warfare. The following super-ships will proudly leave the port of St. Frederik and enter the Artitian offensive: H.D.S Provence, H.D.S Nekolai Zadravic, and the H.D.S Leopard. However, the Nikoloans warn Lockdownn not to intervene in the "liberation process". Stay tuned. Outskirts of Dyatolv, Lockdownn, June 15th 2015. Boltech Incorporated. General Remiante has declared emergency production of thousands of different types of weaponry to prepare itself for an incoming battle against multiple nations. Tensions are high as hundreds of factories across Lockdownn churn out thousands upon thousands of weapons from bullets to tanks and it looks like they're not going to stop there any time soon. General Remiante has announced his step down from his imperial position. This announcement is due to him needing to become more active in leading Lockdownn's military into an inevitable battle for the protection of the N.S.E.A. A most well known man is taking his place. Emperor Yorguschmich wrote: Ahhh, it's good to be back. I must say, vacation really did do well, what you say? No medicated therapy? Nah, I wasn't sick you fools, I've masterfully tricked you once again. And for the record, I don't regret slaughtering your civilians, I don't regret slaughtering Empress Agnes. But I must admit, she was a fighter. I went through a lot of trouble to well....enjoy her.... tasty she was, with just the right amount of seasoning. But, I digress. Duke Leon, you will feel my wrath, you will feel total and utter destruction, you will feel death as it nears your very soul. Let this be a warning to you, and your measly troops, will you be ready for your cities to become nothing but dust? Will you be ready for the impending nuclear missiles to rain down upon you? Will you be ready for the massive casualties caused by your actions? I suppose we will all soon find out won't we? Duke Leon, Manners Maketh Man. 50,000 Lockdownnian soldiers are on the defensive against Nikoloan forces and have been sent to Artitian Military bases for deployment. Multiple types of weaponry and machines have also been sent and it's only a matter of time before an assault is ordered. 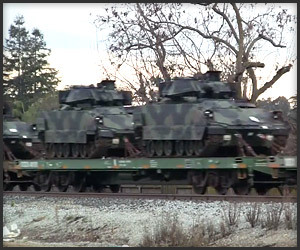 Military Vehicles Being Transported To Artite By Freight. After recent talks between the leaders, it has been agreed that the Cryphite and Apepistani space agencies will join up on all future projects, as a new agency known as APAP; Apocryphi Apepistan (Space Agency). It is expected the organisation will construct a new headquarters of operation somewhere in a remote part of Apepistan, with other branches being located across the nations. This comes as good news, with the two nations merging their efforts in the minor ongoing space race within the region. All developments by the agencies are currently classified, yet it is believed great leaps in the understanding of outer-space are 'in the works'. Further in scientific news; the two nations have announced the construction of a large hadron collider to be located between the two nations. The existence of such a device has called criticism from many, yet it is believed the project will go ahead; with scientists from both nations striving to make new discoveries within the fields of physics which could change the way humans live their lives. Scientists involved have assured journalists, when questioned, that there is only a small chance of the collider creating a black hole and ending all life on earth, so nothing to worry about. In economic news, production of naval vessels, army vehicles, weapons and various other equipment has been stepped up within Apocryphi. Whether the new equipment is to be used by the armed forces of Apocryphi, or sold on to other nations around the world is currently unknown. The deteriorating international situation within the Global Federation is clear cause for this step up in budget, yet the King insist Apocryphi will not sell any form of nuclear weapon to other countries deeming several leaders "not in safe enough mind to be near those decisions". Grand Emperor Charles Robert Targaryen was devastated to hear that the once unbreakable warrior that was Artite had fallen at the hands of its own citizens, traitors who did not deserve the title "Artitian". He made an official statement on the matter," I will not tolerate this sort of treachery and hooliganry from foreigners any more than I would from my own people! This "National Socialist Empire of Artite" is led by nothing more than a pack of rats that need exterminating. I will not recognize it as a sovereign state. My country will not receive its media or its visitors. No Loxan that wants to keep his head will be found near the country or, by extension, its neighbor and puppet, The Artitian Fascist Mandate of Lockdownn. This shutdown of all communications should stop the spread of vileness and villainy before it gets too far." 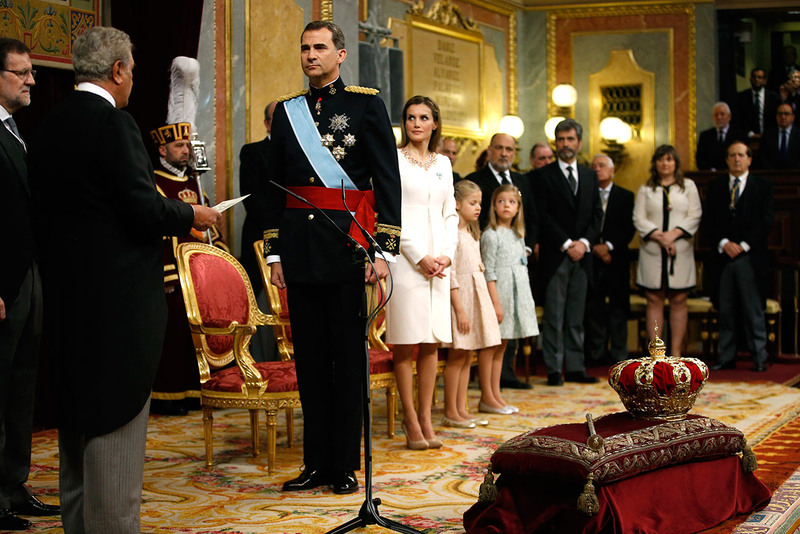 The Grand Emperor urges nations around the world to follow his example. He believes encouraging and failing to combat rebellion in the way that has become the norm will lead to the collapse of more nations and the Global Federation itself. The Grand Emperor, while not a pacifist, seeks to be a peacekeeper of sorts. He is not far from deploying his troops into the existing conflict and ending it himself. He has issued a formal invitation to royal family of Artite to come to say in the Red Keep in Xarax, Xolox. He assures them that it will be a much safer place than the current remaining territory of Artite and will allow them to reside there until their rebels have been dealt with, or long if they grow attached to Xolox. He has assured that the prospective guests that he will deploy an entire Loxan fleet to guard the Artitian royal line during their journey to Xarax, should they choose to accept the invitation. The United Kingdoms of Apepistan will aid the Nikoloan operations to retake Rofinta, and Artite from the fascist rebels. The United Navy of Apepistan have sent out 4 carrier strike groups, consisting 4 supercarriers, 7 cruisers, 8 destroyers and a carrier air wing of 280 aircraft. The unit group is named Osman Fleet, and is headed towards waters near Artite, in order to prepare the area for further operations. Amongst them is U.K.S. 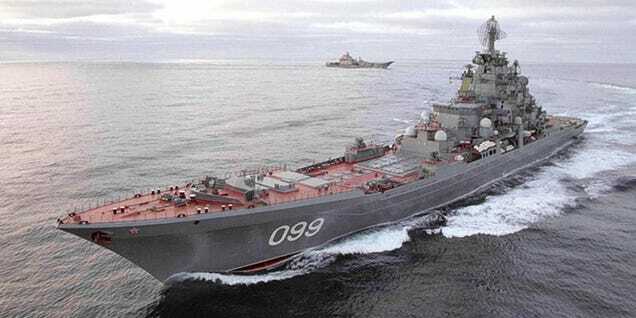 Attila, largest battlecruiser of Apepistan, which is currently the flagship of the "Osman Fleet". The United Forces of Apepistan have declared the task ahead to be called "Operation Shah" - with the ultimate goal of reclaiming Artite for the Imperial Family, and crushing the fascist rebellion once and for all. Viktor Khazri, military spokesperson has said that "the United Kingdoms of Apepistan will not declare war on the fascist rebels. We declare war on nations, not illegal occupants, rebels, revolutionaries... We are not giving them the honor to recognise them as a state. On other news, the troops stationed in Aktau and Sarkel since the war with Xaje and later Lockdownn, are still ready to embark on command. The First Regiment the "Royals" are rumored to be taking part in the upcoming action aswell. The "Royals" are the best elite unit Apepistan has to offer, along with the Second "Firstborn" and the Third "Oathsworn" regiments. The First "Royals" have been seen during a military ceremony in Aktau, where the majority of the troops ready to be deployed are stationed. The exact number of troops in Aktau and Sarkel are unknown, but journalists estimate about 350.000. Recent news from the United Navy of Apepistan have confirmed that two "Leviathan" class submarines have located and attacked a military ship belonging to the National Socialist Empire of Artite. The two Leviathans have coordinated their attacks together, and have fired several torpedoes at the enemy warship. Radars have confirmed at least one hit, but it is unknown if the enemy ship was just damaged, or sunken aswell, as the two Leviathans had to quickly leave the area. Argyos Royal Palace, Valkenburg, Saint Nikolo. Duke Leon I today is officially giving his address to the people of Saint Nikolo and Imperialist/Fascist Artitians around the world. "Hello, Nikoloans! From our shining seas, to blood-laden hands around the world: I officially wish my men tremendous luck, skill, and blessings, as they fight for the Nikoloan homeland in the liberation of Artite. Their names will be remembered for eternity, for liberating innocent people, and putting an end to fascism. But, *cough cough* I am slightly disappointed in a few specific peoples in this earth. Fascism: The number one cause of corruption around the world. Murders, anti-Semitism, the works. I am officially going to put an end to this reign of terror in Artite, starting with...Viktor Grubask. FASCISM WILL BE NO MORE IN ST. NIKOLO! I will never EVER let fascism get past my borders. EVER. As for YOU, Miching Yorguschmich: I am highly surprised you made it out of your "prison", alive. Trust me, your nation will be liberated as well, and you will be relieved of your duty as Emperor if you want. As a matter of fact...it will be a matter of time before 375,000 of my men will reach your shores, hehehehe...have fun dealing with us, Miching."